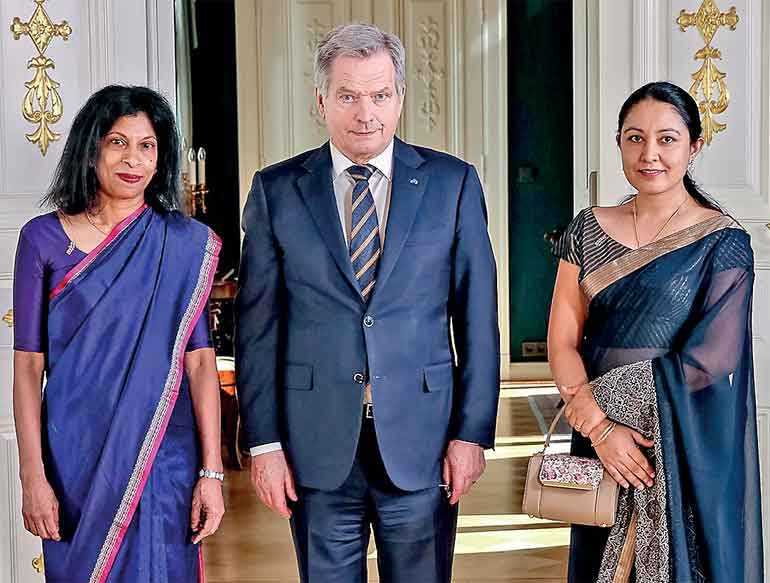 The Ambassador of Sri Lanka to Finland, resident in Norway Prof. Arusha Cooray, presented her credentials to President Sauli Niinistö of Finland on 4 April in Helsinki. Following the presentation of credentials, Ambassador Cooray and President Niinistö discussed the potential for increased tourism, and collaboration in the areas of digitalisation, health, education, forestry and energy between the two countries. The Ambassador met with officials from the Ministry of Foreign Affairs, Ministry of Health and Ministry of Education of Finland, members of the private sector, the Honorary Consul for Sri Lanka in Finland and the Director of UNU-WIDER. She also did a presentation on Sri Lanka at UNU-WIDER.